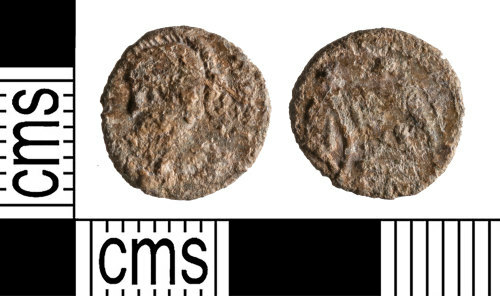 A copper-alloy contemporary copy of a commemorative nummus of the House of Constantine dating to the period AD 330 - 335 (Reece Period 17). VRBS ROMA type, reverse depicting wolf and twins. Mint unclear.